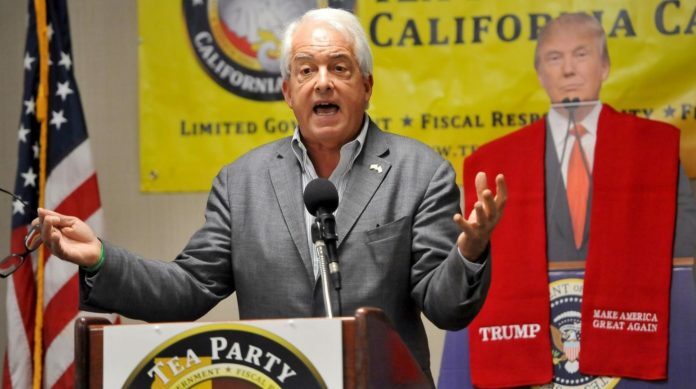 Republican businessman John Cox has surged in the race for California governor, giving cause for concern for his Democrat counterpart Lieutenant Governor Gavin Newsom. According to a KFI-NBC poll, Newsom’s lead has narrowed to a tiny 7.4% as Cox’s popularity continues to grow. Breitbart.com reports: It is the latest poll to show Cox within single digits — perhaps closing a gap that other polls have shown near 20 points. The poll might be considered an outlier, but shows voters evenly divided over Proposition 6, the ballot initiative to repeal the state legislature’s 2017 gas tax hike of 12 cents per gallon. It is the second poll in California to show Cox within single digits of Newsom — though the Democrat is shown to have passed the crucial 50% mark, and the poll suggests Cox may struggle to overcome Democrats’ registration advantage. The poll also notes: “Republicans have eclipsed Democrats in their levels of enthusiasm beyond the margin of error this week. Lastly week the enthusiasm was high on both sides but was tied within the margin.” Among Republicans, 79.0% said the election was “very important,” compared to just 73.7% for Democrats. It is fascinating to see Republican’s enthusiasm remain highly charged post Kavanaugh confirmation. Make no mistake, both sides are charged up but Republicans are taking a clear lead this week in enthusiasm. If these numbers remain high going into November this might just be enough to help the GOP hold some of the Orange County congressional races. Democrats are targeting seven congressional seats in California where Hillary Clinton won more votes than Donald Trump in 2016, but where Republicans were re-elected to Congress. Four of those seats are in Orange County. The GOP is fighting hard in each of those seats and could hang onto many of them with strong Republican turnout.